It's The Conan Yarn Blimp! 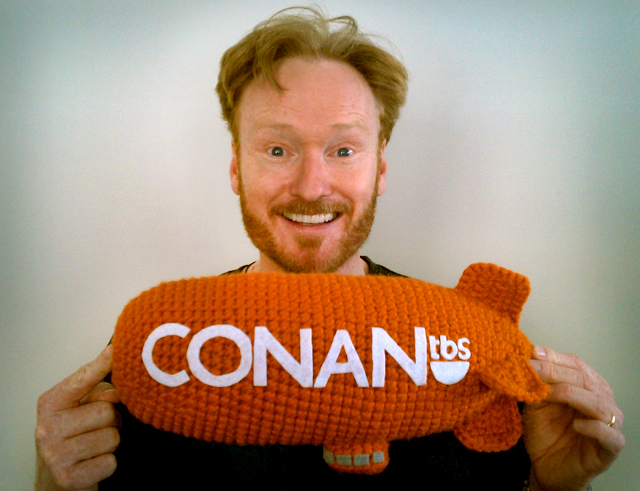 Big thanks to awesome Team Coco fan Allison Hoffman for knitting (or is it crocheting?!) this AMAZING Conan blimp!! She's also done a yarn Coco in the past, which was rad, too! Check out her site for the Yarn Conan Pattern and lots of other cool stuff that you can make yourself. Thanks Allison! Awesome work!